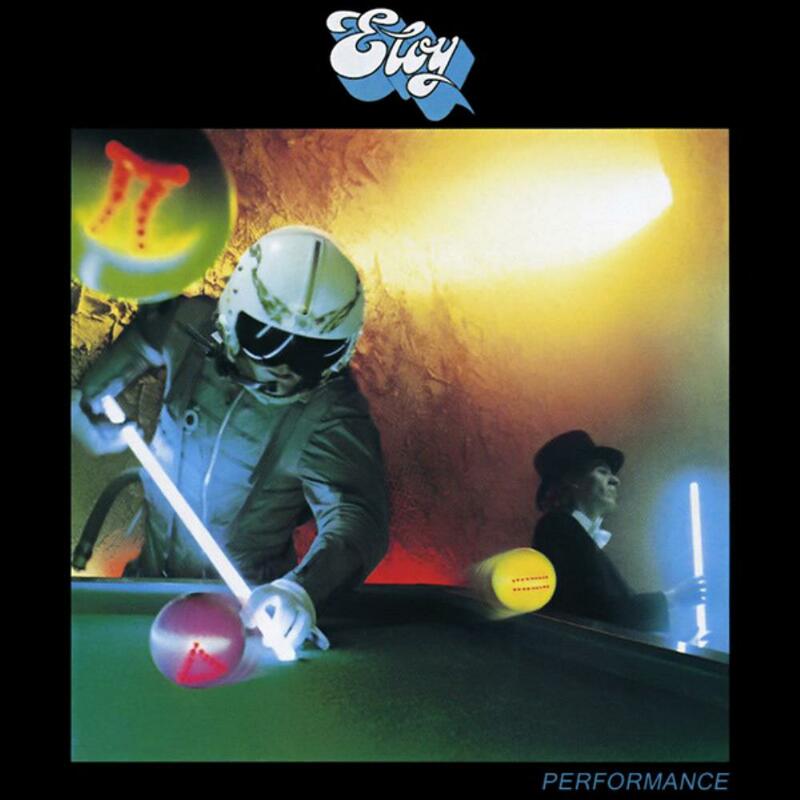 After spending two albums travelling through the cosmos, Eloy crashed down with "Performance". A mere collection of very 1980s sounding, almost poppish songs, it marks a downturn for the band, and they would never again reach quite the heights achieved during the golden era, even if several subsequent efforts easily eclipse Performance. When we listen to the keyboard sound on this disk, what comes to mind is how effortlessly that Eloy was able to avoid cheesiness and pop sensibility up until that point, and how completely they basked in it here. Also, with the noteworthy exception of two tracks, the songwriting and arranging have taken a nosedive, while few of the melodies really stick, and even Bornemann sounds robotic in his enunciation at times. By far the best cut is the excellent closer "Broken Frame" which is intense, atmospheric, and rocking, and is highlighted by Arkona's talking lead guitar and a captivating repetitious chorus. Elsewhere, "Shadow and Light" showed Eloy could still sport innovative rhythms even in a more commercial context. If I had to display a weakness for any of the tacky material it would be for "Surrender", which is at least has sunny keys that sound like piano, and other parts that are reminiscent of the great "Planets" album. So, a precipitous fall off the precipice for Eloy, and not a performance for posterity. Recommended only for those who enjoy the group's classic albums and feel they must have it all.